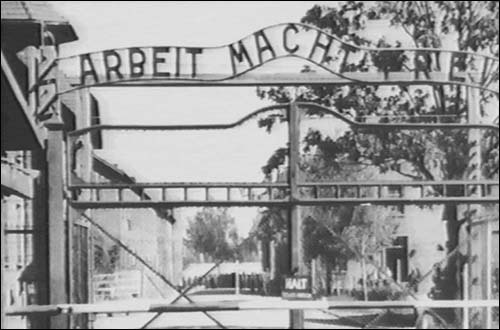 The entrance gate to Auschwitz. 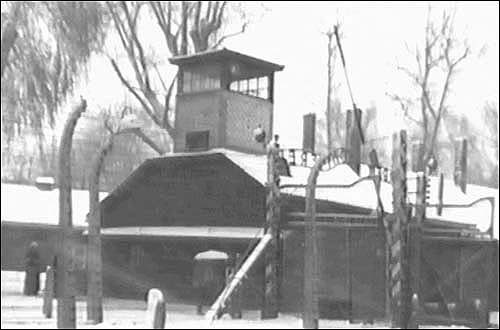 The most notorious concentration and extermination center under Nazi rule. 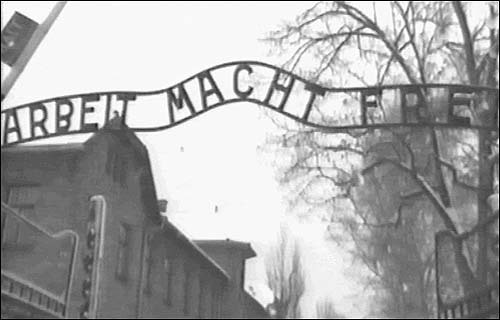 Arbeit Macht Frei which means 'Work Brings Freedom'. 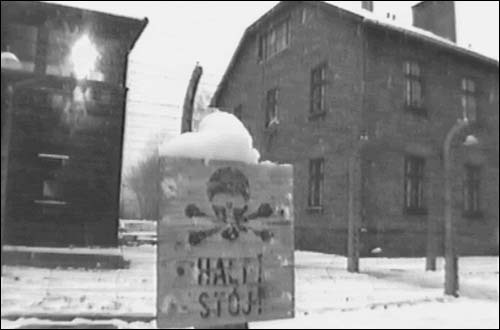 The sign was put over the gates by Camp Commandant, Major Rudolf Hoss. An inside view of the main gate in winter. A deadly camp warning sign on the fence.